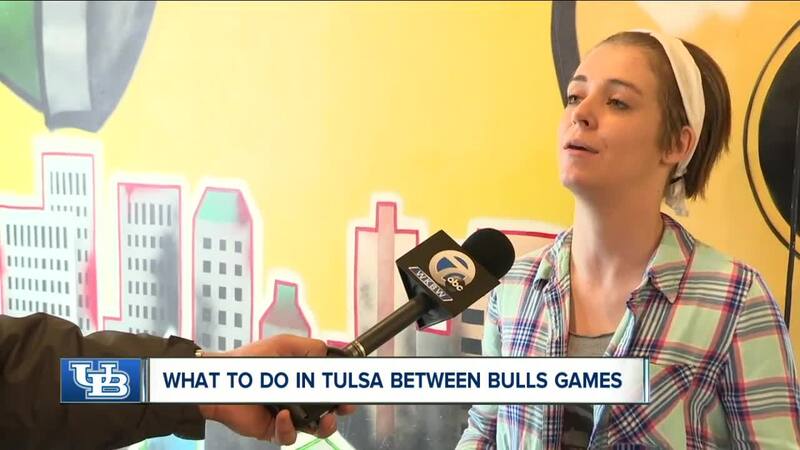 TULSA, OK (WKBW) — Saturday was a dark and gloomy day in Tulsa, with rain coming down most of the afternoon. That weather left the hundreds of Bulls fans in town for the NCAA tournament without a thing to do, which is exactly what Phat Philly's restaurant wants. Phat Philly's specializes in, you guessed it, Philly Cheese Steaks. One of their best sellers, however, is the authentic Buffalo chicken wing. "If you want a little taste of home it will bring you back a little bit" Morgan Terrell of Phat Philly's said. The chicken wings at Phat Philly's are made with Franks Hot Sauce, and not battered like many are in the Tulsa area. They say it is to keep the flavors of Buffalo into the wings. "Just do them the old school way. All original and everyone really seems to love them" Terrell said. For those that did not want to spend their day watching more basketball and eating chicken wings, they were more than welcome at the Tulsa Zoo , which had between six and ten thousand visitors over the past few days. They also have almost half of the zoo in doors, which allows for use during a terrible day like Saturday. "We’re about 50 percent in door and outdoor exhibits and a lot of our animals, especially in our newer habitats, have indoor and outdoor viewings" Evan Newpher said. The UB Men take on Texas Tech in the round of 32 on Sunday at 6:00 EST.